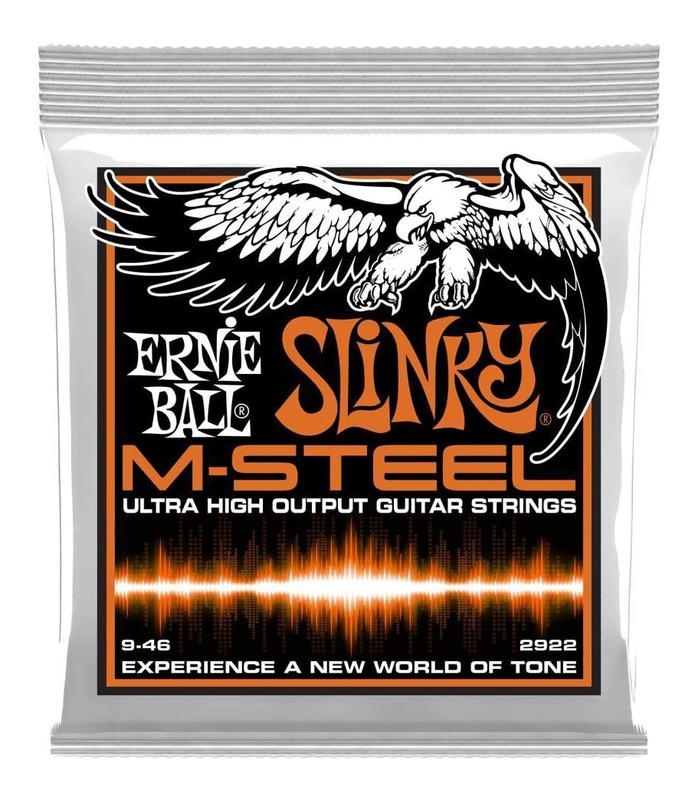 Ernie Ball's M-Steel Hybrid Slinky electric guitar strings are extra loud and expressive. They combine Super and Regular Slinky electric guitar strings. 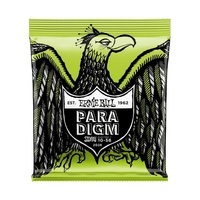 Ernie Ball's M-Steel Hybrid Slinky electric guitar strings are loud and expressive. 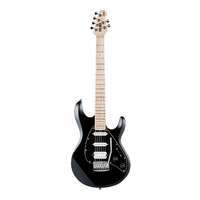 They have a high output level, wide frequency response, and super strength. M-Steel, which is short for Maraging Steel, is a type of alloy used in high-stress situations, like aerospace and the defense industries. 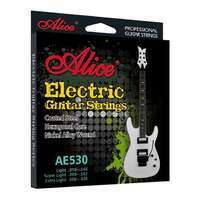 The wound strings are comprised of a patented Super Cobalt alloy wrapped around a Maraging steel hex core wire, producing a richer and fuller tone with powerful low-end response. 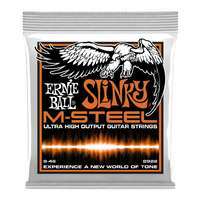 M-Steel plain strings are comprised of a specially tempered steel for maximum fatigue resistance. A patented winding of steel around the ball end of the plain strings reduces slippage, breakage and stays in tune better than conventional plain strings. 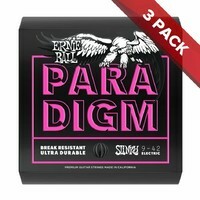 Hybrid Slinky electric strings are a perfect match for those who like the ability to combine the combination of Super and Regular Slinkys sets.